Important information - Please use 01772 700022 when calling the professional shop and not 01772 700011. This is due to a problem we have being unable to retrieve voicemail messages left on 700011. All entry money will be paid back in prize values each week and results are to be posted in my newsletter on a weekly basis. Who can play in these competitions? Members both Male, Female and Juniors. The more the merrier! Please support the series and make it a huge success . No booking required, just enter in pro shop. We have launched two coaching offers to help you to prepare for the upcoming season. With only 12 weeks to the masters, and the official start to the season, I am offering a great value coaching package! We will also be offering a 30 min assessment lesson for only £9.99, this is the perfect opportunity to address a various areas of your game,or even give you a quick fix before you play. Please book your lesson now by clicking here. Since the turn of the year, we have been offering various options to improve your golf through custom fitting each club within your bag. Want to hit longer drives and improve your accuracy with all clubs? - With our expert advice we can help you achieve this! Throughout the month of February, we are offering FREE FLIGHTSCOPE SESSIONS in order to find out whether the clubs you are using suit you! With professional advice from myself, we can help you achieve more consistent, longer shots by fitting you for the collect clubs and specification. With technology improving the world of sports in leaps and bounds, more accurate sports measurement systems have resulted in improvements not only for players, but for spectators too. The two main technological aspects of the FlightScope 3D motion tracking device are its radar technology (very similar to that which is used in the military), and its advanced industrial electronics. The patented phased array tracking technology that is used in all FlightScope radar units is the most advanced in the industry today. The ball's entire trajectory after it has been launched is also tracked, which means you have exceptionally comprehensive ball measurement information instantly available, helping you to improve your golf swing. Call the Professional Shop at Preston Golf Club on 01772 700022 and book your session with Andrew today. Alternatively, click here to get in touch. What's New In Alan's Bag? This week I had a fantastic session with Alan Jones on driving the ball. Alan came to me with concerns about the quality of his driving. Alan was struggling with a ball flight that typically started well left of his intended target line and either stayed there or curved strongly to the right of that start line. Like many golfers, the thought of a new driver being the answer to his problems was present at the start of the session but after some discussion we got to work on improving technique before fitting for drivers. We did some great work on club path and then moved onto face control to compliment the change in club path. At this point Alan had improved his balls starting line and reduced the curve on his shots but struggled with the initial launch angle of the ball being too low. Then came the lightbulb moment!! I decided to pop a ladies driver into Alan's hands, one of our colourful models to compliment his fine array of colourful jumpers he wears so well!! It was love at first sight!! We now have our best dressed member with a driver to match!! If you would like to book a lesson with me, get in touch by clicking here. The self-serve shoe wall has this week been re-stocked with lots of exciting 2015 product from FootJoy, ECCO and Puma all at competitive prices. We also have foot measuring devices to help find your ideal match. 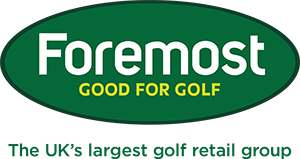 We offer the largest range of golf shoes in the area so if you are thinking new shoes, think of your professional shop! Prices on our shoes in stock range from £39 to £165 so we have something for everyone. Please come and take a look at our shoe range and gives us some valuable feedback. New Mizuno Equipment Coming Soon!! The new 2015 Mizuno Range will be landing in store very soon so keep your eyes open! We are also hosting a demo day which will give you the chance to try the new equipment! The demo day will be held on Thursday, 5th March. The list for fitting appointments is filling up rapidly with only 2 places left so call the pro shop to confirm your place ASAP!! Currently we have discounted a wide range of stock in preparation for our deliveries of new stock for 2015! 50% off clothing and shoes of various brands. Furthermore there is 50% off Callaway, TaylorMade, Cobra and Titleist clubs! We have also discounted the new Cleveland putter collection by 50%. These are items are selling fast with lots of members taking advantage of some amazing offers! Pop in store now to grab a bargain! 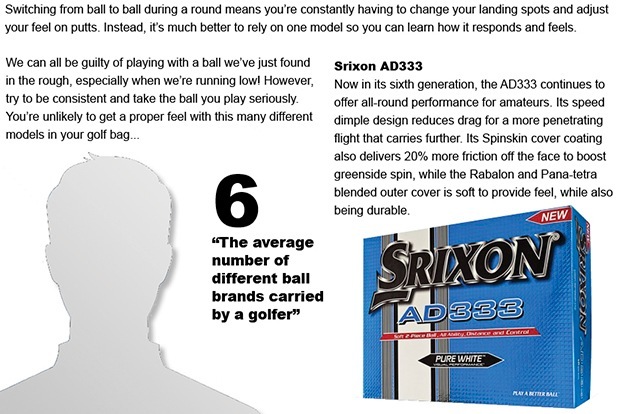 We lowered the spin in the Alpha 815 to help you maximize distance. How'd we do it? Start with a forged composite crown to save weight. Add in our patented Gravity Core for an adjustable Center of Gravity. The result: a low spinning bomber with forgiveness. Remember this name - R-MOTO Technology. It's new. It's groundbreaking. It provides the structure to save weight for an ultra thin face that maintains stability while elevating smash factor. Every driver should have this. 7 gram and 1 gram weight ports allow you to set the driver to neutral, draw or fade bias. And our OptiFit hosel provides 8 different loft (-1, S, +1, +2) and lie angle (Draw or Neutral) configurations. Callaway's new range of bags for this season have started to arrive in store featuring the new Aqua Dry Bags. The Aqua Dry Cart Bag keeps everything dry and secure in any conditions, rain or shine. So whether you're playing in summer heat, high winds or in the rain, this bag says, "Bring it on!" - Weighs approx. 6 lbs. Lora is pleased to announce that the First ladies 9 hole Waltz will be Friday, 20 February at 10am. £10 pp with a maximum of 9 ladies. Lora will play 3 holes with each group of 3. Please contact Lora to book your place. 07711 258352 or email info@lorafaircloughgolf.com. Dates will be out next week for short game classes. Over the last couple of months, the Academy has been working hard to improve the juniors development and we are now pleased to say that a 4 Hole Junior Winter League will start and encourage juniors to play more golf. A relationship has been made with the Golf Foundation to offer a structured coaching scheme in the form of the re designed junior passport programme which covers all the areas we would wish from a upcoming junior golfer. Each junior will receive a Passport, which is a record on each individual's progress. Along with the relationship with the golf foundation, a £500 pot of funding has been accessed and will go into the JDP to allow us to offer taster sessions into the local community. Do you know a Junior interested in learning a new skill? The Junior Golf Passport programme, which runs midweek after school hours and Saturday mornings from 9am until 12pm is open to all under 14's who are looking to start golf. The cost of the sessions is £28 per month One to one sessions are also available to more advance golfers to help with their development. As you know, winter rules are now in place and you can get your Rocket Launcher from the professional's shop! £50 per person includes coach trip (return) Leave Preston Golf Club at 7:30am. Play 18 holes of fantastic links golf on one of the UK's finest courses! 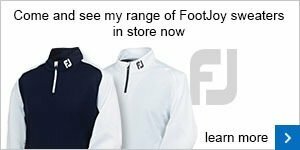 If you would be interested please contact the Professional Shop on 01772 700022. Look forward to seeing you there! Click here if you would like to take a look at this service. 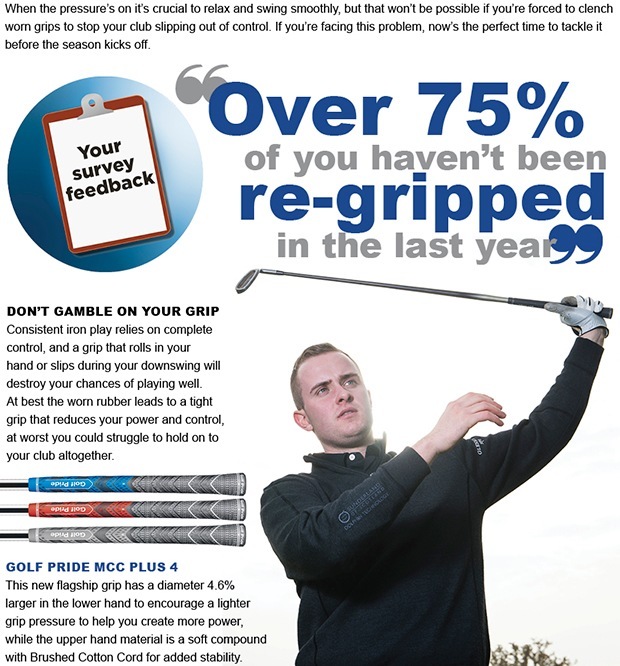 Have you checked your grips recently? You should be looking to get re-gripped once a year or every forty rounds, whichever comes first; that’s if you want to avoid the detrimental effects worn and shiny ones will have on your game. We’ll put a new Golf Pride grip on your favourite iron for FREE and you’ll be amazed by the difference you feel straight away. On top of this, why not take advantage of our game assessment offer which we’re running for a limited time only. For just £9.99 you’ll get to spend half an hour with one of the team. For further details come and speak to us and let’s help you enjoy better golf this year. Attention! Are your grips worn and shiny?